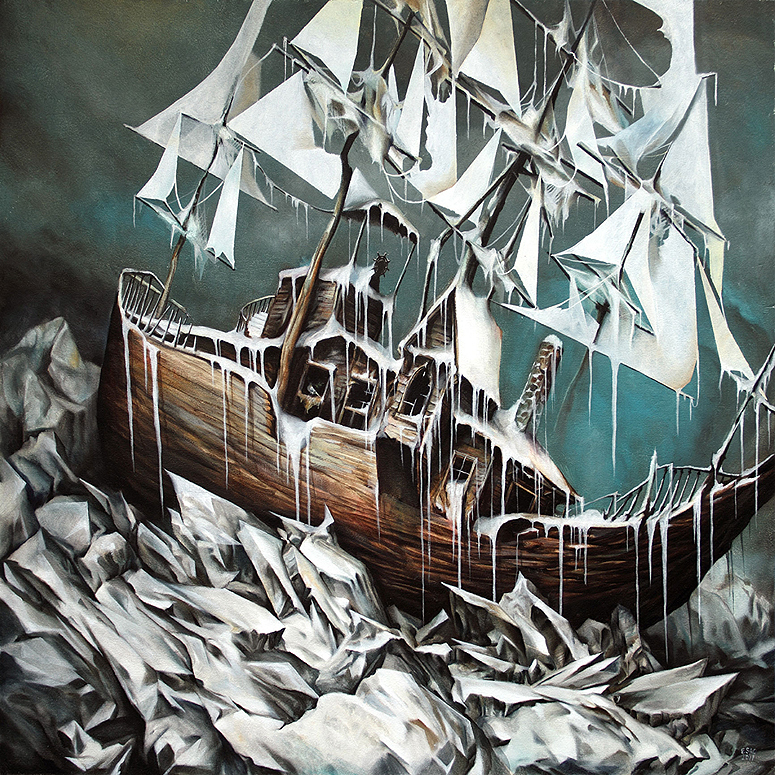 Currently on display at Thinkspace is the latest body of work by Esao Andrews entitled "Nowhere". The new series of paintings continue Andrews' haunted landscapes, portraits and scenes that combine the surreal and real world with inanimate objects and animals. Many of these paintings are meant to stand alone, but they all suggest a changing of seasons and the anticipation of new beginnings. “Nowhere” refers to a desolate place that stands as a seemingly bleak starting point where time has been passing by unnoticed. These images show signs of hope; that fleeting moment where the subjects have resolved their wait and emerge for their first steps towards a new life. Show runs until Saturday, January 28th at Thinkspace Gallery.